I sit on the board of a non-profit (Blount Hospitality House) here in Huntsville. It's like a Ronald McDonald house, but for adults. We serve clients undergoing treatment for cancer and other illnesses, families of injured hospital patients, and parents with babies in the NICU. We subsist on several fundraisers each year, as we are not fully supported by the local hospitals. One of our fundraisers is the Blossomwood Witches' Ride. This is a parade of sorts of women on bicycles dressed as witches who ride through the Blossomwood neighborhood handing out candy. It's a fun time and the riders pay to participate. All proceeds go to the Blount House. This year I am one of the sponsors and as sponsors, we can put promotional items in the goody bags given out to the riders. I decided to make treat bags with candy and a business card inside. That's got to be better than just getting a flyer in the bag, right? It has been a daunting task, one that I did not totally complete. I needed to make 300 items and vastly underestimated the time it would take to make them. 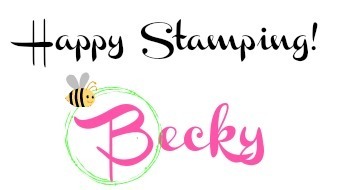 Nevertheless, I made a valiant effort and got about half done with cute stamping and pretty papers. The others will just have to get a bag of candy. Oh, well, lesson learned! It was a last-minute decision to sponsor this and next year I'll know to start a lot earlier! 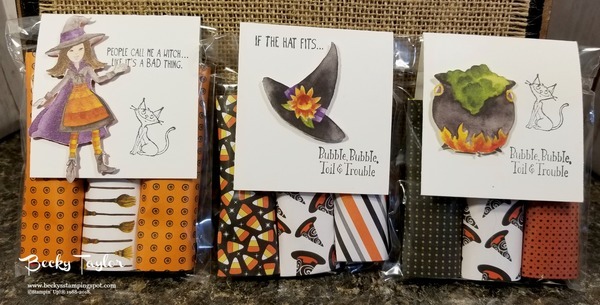 I first made the treat bags in the September Paper Pumpkin kit. 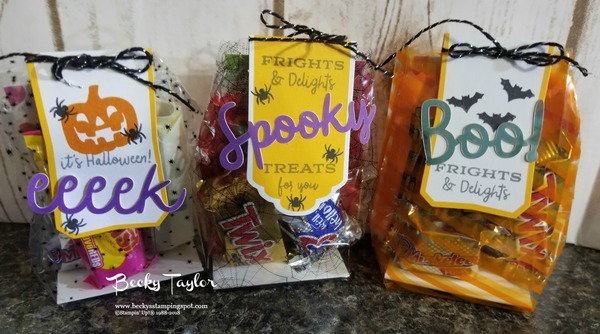 They were so cute and I made good use of the stickers in the kit by not using them all on these treat bags and saved some for other, plainer bags. I then used a lot of retired designer series paper, retired stamps, and current products to produce the rest of the bags I made. Here are some of the bags using the Toil & Trouble Designer Series Paper and the Cauldron Bubble bundle (they were ideal for this project!). I either used the dies to cut out the images or I fussy cut them/used my Scan N Cut. I then used dimensionals to put them on the labels. 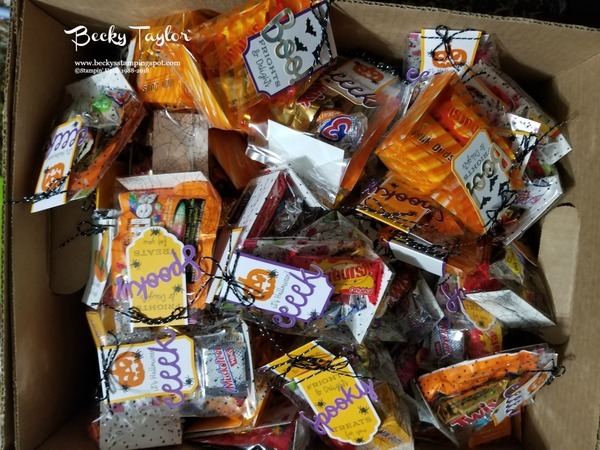 And here is the box of 150+ treat bags! I'm happy to say I am thrilled to be done!